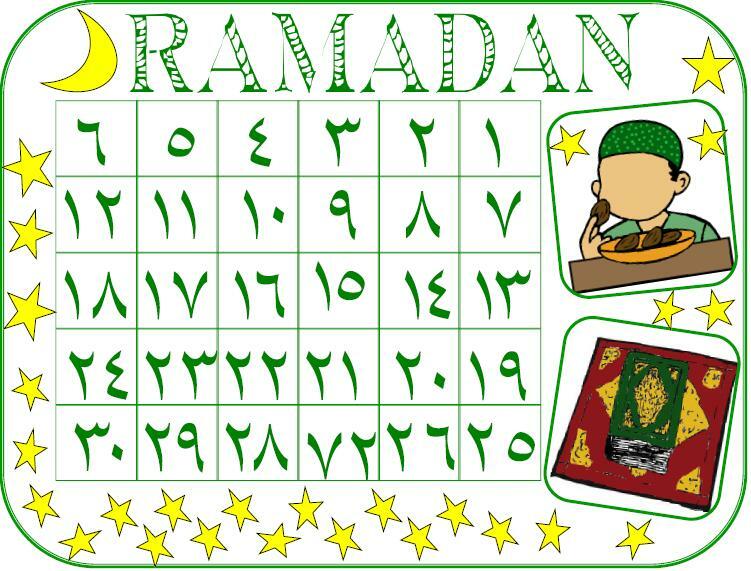 I have put together some fasting Ramadan Calendars for our children to either paste and track their fasts or just color and paste the days of Ramadan that pass. Either way it is a fun activity for the kids to busy themselves with during the month insha Allah. This is the colored arabic version of the calendar.